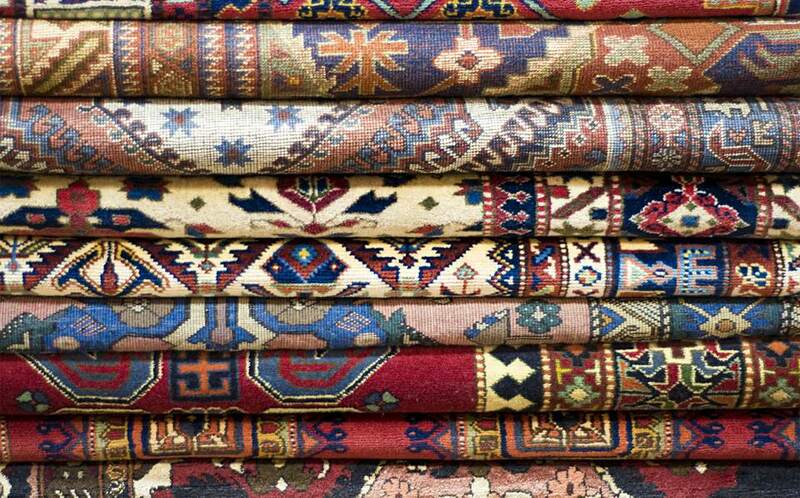 Valuing antique rugs is a slippery slope according to Omri Schwartz of Nazmiyal.com, a business specializing in fine antique rugs in New York City. Since antique rugs vary in quality, and tastes are changing in terms of decorating with antiques, which impacts demand, it's almost impossible for the average individual to research the true value of an antique rug on their own. Say you inherit a 12' x 18' rug and you were told that it is a Persian Tabriz over 80 years old - it's not an exaggeration to say that it could be worth anywhere from $1,000 to $1 million. Opening up an auction catalog or trying to compare it with other rugs you think are comparable online will get you nowhere and fast. Reputable rug dealers get calls every day from people with unrealistic expectations about what their grandmother's antique rug is worth. They know she purchased the rug years ago, and think it's worth a certain amount since they saw what seemed like a similar rug offered for sale at that price. The size, dyes used in manufacture, and design all play a part in determining value, and similar-looking rugs may turn out to be very different when examined closely. As with all antiques offered for sale, the selling price is different than a dealer's asking price. This is why appraisers use comparables, actual selling prices, as often as possible when assessing values. If you don't have access to information about what an antique rug actually sold for, it is difficult to pinpoint a value even if you know the exact origin and age. Furthermore, you really have to understand not only the makeup of the rug but the current rug market in order to get to the bottom line value at any given time. This an instance of valuing antiques when it's best to consult a professional. Are you looking to sell it, and want to know how much a dealer would pay for it? If the dealer is making an offer, it's not really an appraisal but rather an offer to purchase at the price set by the dealer. Are you interested in an auction house reserve price estimate? This is the least you would be willing to sell it for at auction - a safety net to protect your interests, so to speak. Do you want an assessment of what a fair market retail value would be? In other words, how much would a dealer expect to get for it if sold to a retail client? Are you wondering what a fair trade in value would be? In this case, you're likely looking to upgrade your rug to a better one or change the look of your room. Do you want to ensure it, and require a fair market retail value appraisal? These appraisals will always be full written appraisals as required by insurance companies. Full written appraisal - These appraisals will usually cost a minimum of $500, if not more, depending on the dealer so be sure to ask about the fee before having them look at your rug. A full written appraisal costs more since once it is signed and delivered it is considered to be an official document that may be used in court. It also takes considerable time to research comparable values and prepare the documentation. Should a legal situation arise relating to the value of the rug, the person who issued the appraisal might get called into court to testify. In addition to helping you find out what your rug might be worth should you decide to sell it or require a replacement due to fire or theft, having an appraisal helps to authenticate it and ultimately adds value to the carpet. Verbal estimation of value - These less formal estimates will usually cost around $100, unless you're asking the dealer to make an offer on the rug. Dealers may do some research on sales of comparable pieces to help them determine values, but no written documentation is provided with a verbal estimation of value.